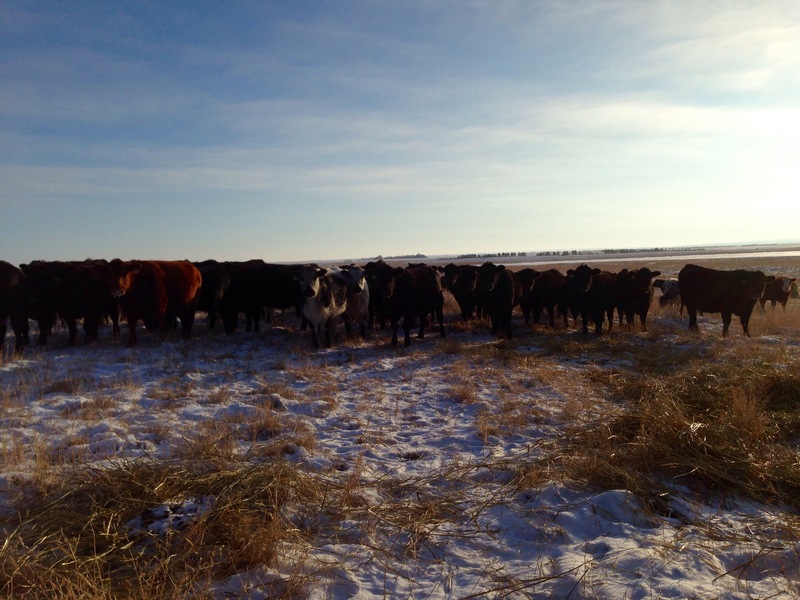 January | 2016 | Loch Lomond Livestock Ltd.
Winter is usually the time when we bring feed to the animals. These cows are out on the bale grazing field so they have to fetch their own feed so to speak. But it didn’t stop them from coming to check out what I was doing with the tractor. They have ample feed so decided to spend a sunny afternoon watching me move the portable windbreaks.